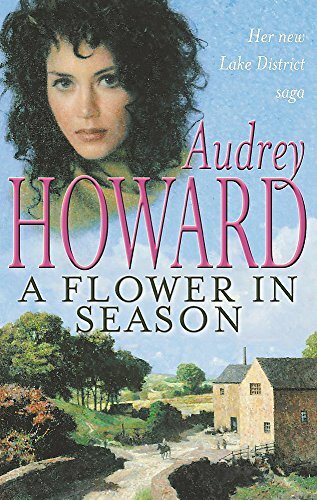 In Audrey Howard's new novel a Lakeland miller's daughter finds happiness after enduring both cruelty and loss - but at a price. Briony Marsden has led a hard life, forced to do the work of a grown man while enduring her drunkard father's taunts and blows. But when he goes too far one day, her fate becomes even worse as she makes her way alone in a heartless world.Not quite alone. She has a friend - Lizzie Jenkins - who will do anything to help Briony re-open Moorend Mill. And Chad Cameron, the richest man in the district, has always admired Briony's spirit and determination. When her fortunes are at their lowest, he falls in love with the elfin waif and decides to make her his wife. But the only way he can win her is by trickery - by betraying her naive trust in the man who came to her rescue when all seemed lost. Can their marriage survive when she discovers his deception?